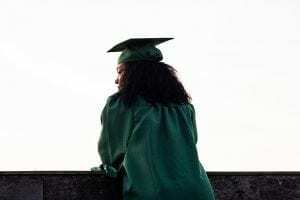 The transition into college can be difficult to negotiate, especially coming from Springfield, Missouri to Boulder, Colorado. It would be difficult to imagine two places so opposite to each other. While Boulder may not seem like a big place to everyone; especially when one considers that my hometown of Springfield contains a larger population than Boulder, it was a significant change of pace. So, why does Boulder seem like a colossus compared to Springfield? Perhaps it is because Springfield is such a quiet place, earning the nickname, “the Queen of the Ozarks,” from many of the locals. There was never much to do for fun as a high school student, besides going to the roller rink or eating at a Waffle House at 3:00 AM. The conservative nature of the town also meant that it all but closed down after school was out. Nothing terribly exciting occurred, which made living there comfortable – although quite dull. The lack of activity made the city feel small. This is what made the leap into Boulder quite a shock. As a new student, coming to Boulder was challenging. The city may be only moderately sized and quite dense in its geography, but the liveliness and brightness of it cannot be ignored. That, coupled with the massiveness of CU Boulder as a university, can make the move a struggle. 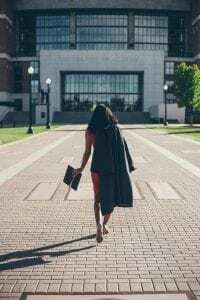 As someone going into her second year as a full-fledged ‘Boulderiate,’ there are many things I wish I’d known when I first moved here as a student. student really takes the time to explore and doesn’t leave it all until the first day of classes, it will seem much less intimidating. Don’t be afraid to take advantage of the many people and groups on campus who would be more than happy to show a new student around, this might even be a way to make some new friends. There are maps of the campus online, a new student can access these maps on their phone while walking around campus or simply print it out and go on their expedition in a more manual way. My suggestion would be to take at least one week to really look around campus, even for just a few minutes every day of that week. Whether it be an automobile, a bicycle, walking, or public transportation, one of the most important aspects to being a student in this city is deciding how to get around. Every option has its perks and its disadvantages, and it’ll be up to the student to discover what those are. As a new student trying to settle on how they’ll get around in Boulder, it will take a little while to really consider which method of transportation is the best option. It might be a good idea to ponder some of the following questions; how far away is my apartment/house from the university? Do I have a job that can’t be reached by walking or bicycling? How will I get to school when the cold weather sets in? A new student should take time to genuinely think about what method of transportation will work best for them. This advice comes from someone who thought that bicycling was the way to go; only to let the bike fester in her apartment basement for nine months without touching it. One of the great myths of the Pitch Perfect films is that the perfect group of friends will come riding up like Cinderella in her pumpkin carriage. This, quite shockingly, is not the case. A new student will really have to work to go out and find the people they click with. Coming from someone riddled with social anxiety, it won’t be easy to make new friends, but it is worth the effort. CU Boulder offers a wide variety of groups and clubs easily accessed through their website. As a new student, don’t be afraid to branch out and expand your interests. Think about the things that draw you in and pursue them; a great way to bond with new people is through shared passions. Look into a good number of clubs, narrow down which of these are of genuine interest, and attend regularly. One of the best things a new student can do is to reach out and talk to someone else, and not wait for them to come introduce themselves. A marvelous factor to living in Boulder is the social diversity, take advantage of this while finding your crowd. with interesting and exciting things to do. The reality of being a new student is that you may not find your crowd right away. Don’t let that keep you from participating in the Boulder lifestyle. Go see a movie on your own, eat at one of Boulder’s many fabulous restaurants, or wander around Pearl Street on a Saturday afternoon. As a new student, try not to be fazed by spending some evenings alone. It simply takes some time to find your people. Until you find them, a new student should allow themselves to be truly swept up in the Boulder atmosphere. Try not to let anything get in the way of enjoying student life. For almost every undergraduate student, living alone in Boulder will be far too expensive. Not everyone has the option of living at home; especially if they’ve moved or transferred from another state. This all adds up to one conclusion – roommates. Even if the initial reaction to roommates is to repel the very notion all together, roommates can be one of the best things to happen to a new student at Boulder. Roommates can help new students find their way around, learn the ropes of going to CU Boulder, and possibly become some of their first friends. Work to be a good roommate, try to spend time with them and don’t reject the idea outright. As Abraham Lincoln said, “a house divided against itself cannot stand.” I’m sure this is what he meant. There is never an easy way to be a new student, and moving to a place like Boulder can make it an overwhelming experience. Yet there are always ways to make the transition a smoother one. Boulder is really the ultimate college town; there are always people to talk to, things to do, and sights to see. As a girl from a big town that felt small; Boulder has been quite the adventure, and the best thing a new student can do is allow themselves to be engulfed by the adventure.